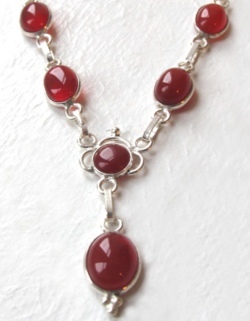 Carnelian is an excellent gemstone for Autumn and Winter. It's colour varies between warm brick red, brown and gold and is ideal to mix with traditional autumn shades. 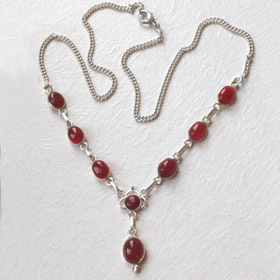 Here we offer a silver carnelian necklace and a carnelian with agate necklace. 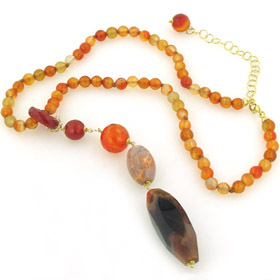 See also our carnelian earringsand agate bracelets.